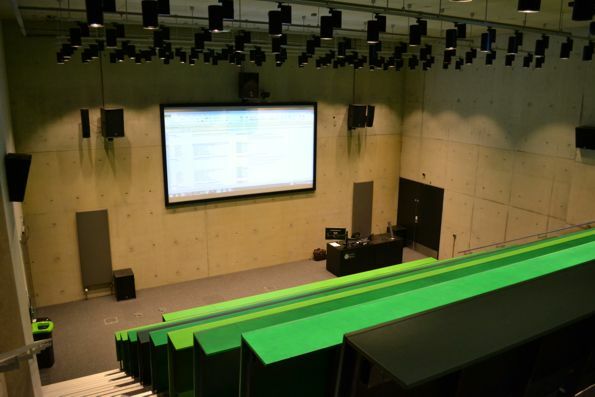 We offer a professional audio visual AV consultancy service from system design and specification through to systems integration and project management. Rather than go direct to an AV installation company for both design and installation, using our services we will ensure you receive completely independent advice on the very latest solutions available. We will draw up a detailed specification and drawings to go out to tender and co-ordinate this with all the other services ensuring the best possible installation at the lowest possible price with the minimum of fuss. We will ensure screen sizes are optimised for the size of room, seating layout and type of presentation and design an audio system to cover the seating area with even sound levels and intelligible sound. All aspects of the space will be considered to include access, electrical systems and structured cabling. We can also provide system design and consultancy for CAVE automatic virtual environment solutions. These are virtual environments in which the person is fully immersed within it using images that are displayed by a series of projectors. A typical system consists of music and video played via rear projection walls, down projection onto the floor, various loudspeakers at different positions around the space with tracking sensors in the walls. Some systems also have haptic feedback which take the form of vibrations or other forms of movement felt by the user which contribute to the experience.